As the vast and debris ridden tail of Nibiru turns toward the Earth, fireballs screaming across the skies have returned. Each waft of the tail brings these bolides back, afresh. 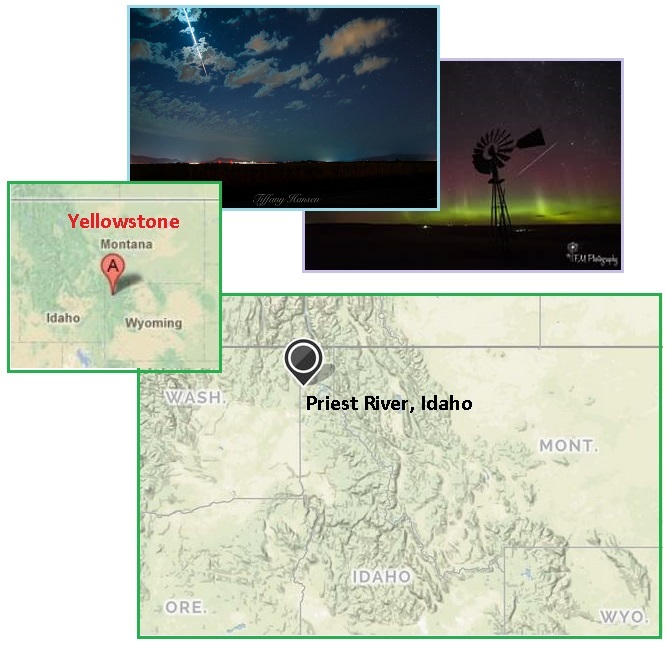 Recently, on September 29, 2016, a bolide seen from Montana to Washington State landed in Idaho. In that Yellowstone is just to the south, in Wyoming, the fact that some residents smelled sulfur was a concern. The bolide cracked the ground open when it landed. They are saying helicopters are in the area where people are smelling the sulfur. The light was seen in 3 states, but the light and smells are coming from Priest River, Newport and surrounding cities. A lady in Diamond Lake Washington smells and tastes sulfur in the air. Not two days earlier, on September 27, 2016 a bolide fell off the Gold Coast of Australia. This was enough of a thud to register as an earthquake. Per the Zetas, more to follow. Until the passage of Nibiru has come and gone, we can expect incoming debris. Their advice is to stand against a cliff, a rock wall, during the passage, as debris always comes in at an angle and will deflect and not drop straight down. Central Queensland residents have reported bright lights and a loud boom in the night sky, sparking speculation of a meteor strike. A spokesperson for Geosciences Australia confirmed there had been a “tremor” around Gladstone about 8.30pm on Monday and that it wasn’t caused by an earthquake. A thunderous boom and a bright flash over the coast of northeastern Australia Monday night may have been a “big meteor” strike, according to local media. ZetaTalk Advice 7/15/1995: The best defense for humans is to huddle near cliffs, out of the wind, not in open fields, as most missiles that crash to Earth, large boulders, will not drop straight down! They come in at an angle, and will glance off hilltops, bouncing about. Thus, those in ravines are unlikely to experience a direct hit. ZetaTalk Advice 7/17/2010: When Planet X begins its outbound passage over the head of the hapless Earth, is has turned its N Pole toward the Earth once again and the tail wraps around the Earth and coils in all directions. It is not interacting with the Earth, in this regard, but with itself. During the hour of the pole shift, when the tail will whip the Earth, the direction to be concerned about is primarily the direction of the hurricane force winds! Debris in the air will be affected by this more than any trajectory it has upon entry into the atmosphere. The second factor will be the direction the earth is moving during the hour of the shift. Think of the fireballs that have been screaming into view lately in Canada, Scandinavia, the Midwest, and New Zealand. The trajectory is primarily from east to west! This is because the Earth is turning in that direction, when it encounters this debris, and thus this is the angle of descent. During the hour of the pole shift, Brazil will be moving up toward the current N Pole, and India will be moving down toward the current S Pole. It is from this direction that large debris will arrive. Anger is on the increase. Waiting in line, dealing with little frustrations normal to everyday life, have lately resulted in unwarranted anger. What’s causing this? Is it the Earth changes, affecting the populace? This seems to be on the increase. Here are a couple pertinent reports. Had a discussion at work today in Arizona and we were all commenting on how upset everyone seems to be. Easily flying off the handle, ready to fight in a minute, or stressed to the max and breaking down sobbing. Is it electro-magnetic or are we being purposely bombarded with some weird energy? Is it the influence of Nibiru getting closer? Solar storms? I can't sleep although I am exhausted. I work at a store in Canada in the checkout lane and fights are breaking out all the time, for no reason. One woman threw her deli meat almost at me and at the last minute threw it onto the belt of the till and stood ready to fight because she wanted to be served almost immediately. Another guy came in and wanted water and he just lost it as soon as he was told there were government taxes on top of what he had to pay. He started screaming and swearing. He didn't leave the store until he found he wasn't being listened to. People also stand impatiently at the till tapping their fingers waiting to be served as if we're super speed tellers, or they stand there waiting to be served but do nothing to help but snap at us and tell us how to pack their stuff and when we do it's not good enough and they start yelling. Recently we've had tellers walking out on us. One last week didn't bother to turn up, most unusual for her, and another just walked off the job without so much a by your leave type of thing. This is in the last two weeks, but these incidents have also occurred during the last few months. 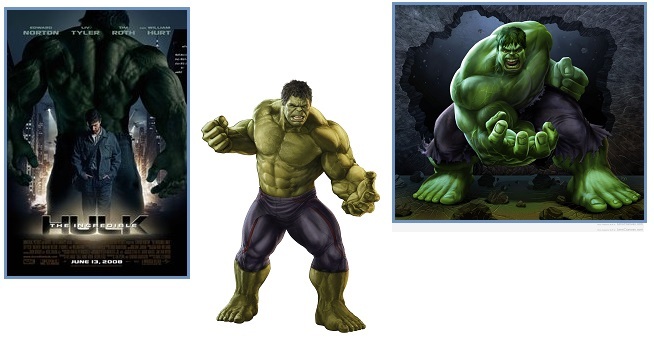 Uncontrollable rage is epitomized by The Hulk, a fictional character who turns green and powerful when angry. The Hulk rages until his anger is spent, like the blind rage known to occur in cornered animals. Per the Zetas, its origins were survival, a survival mechanism, but it lingers in our DNA causing societal problems. ZetaTalk Insight 7/15/1995: Violence is often a necessary ingredient for primitive life. Depending on the environment, violent tendencies may in fact be crucial to survival. Your Earth was such an environment. First off, species eat each other. As has been often stated, the species on your planet generally use fight or flight when confronted with this possibility. If the defensive posture does not succeed in deflecting the attack, taking the offensive in a parry is undertaken. The defensive posture is dropped and replaced with what is termed blind rage. The one under attack is now the attacker. Savage fury is unfurled. Everything in sight is devastated, without remorse or hesitation. In the US, the term Going Postal emerged to describe unfocused frustration taken out on co-workers or employers. During the Great Depression, farmers finding the banks foreclosing on their farms were known to charge into banks and shoot the bankers, but this was directed rage. Going Postal is considered undirected rage, an explosive release of anger striking at everyone in the vicinity. Going postal, in American English slang, means becoming extremely and uncontrollably angry, often to the point of violence, and usually in a workplace environment. The expression derives from a series of incidents from 1986 onward in which United States Postal Service (USPS) workers shot and killed managers, fellow workers, and members of the police or general public in acts of mass murder. Between 1986 and 1997, more than 40 people were gunned down by current or former employees in at least 20 incidents of workplace rage. Frustrated by lack of jobs for black youth, whose unemployment hovers around 50%, and frustrated by what is viewed as unequal educational and work opportunities, riots result. 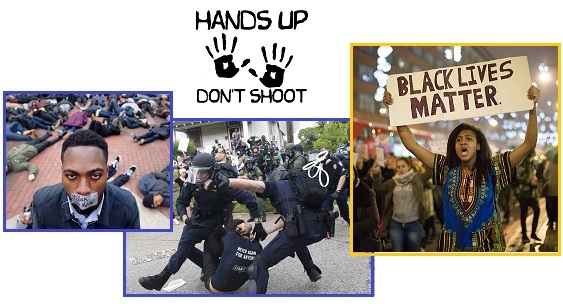 Black Lives Matter is an inherently peaceful protest, but triggered by what is viewed as the recent shooting to death of unarmed black men, riots have ensued. The rage can lash out at what is viewed as the enemy – white people. Here’s the basic reality. Crime rates in America have gone down quite a bit since the 1980s and 1990s. Nevertheless, we still have relatively high rates of violent crime compared to other Western nations, and our murder rate has ticked up a bit over the past year. There are places where murder is rampant, and places where it’s shocking and rare. That’s partly related to gangs, which are turf-oriented such that you pretty much know where to find them. Video footage shows violent mobs of ‘Black Lives Matter’ rioters targeting white people for brutal beat downs during unrest in Milwaukee. Another clip shows a man trying to justify the violence by claiming that rich people don’t give blacks enough money. Per the Zetas, increased irritability and anger in the populace is due to many factors, but primarily the sense in the populace that they are being lied to by the establishment, who continue to collect taxes and protect their own livelihoods while lying to the common man. A second factor is the stress in the rock, generating electronic screech which animals take as a signal to flee. 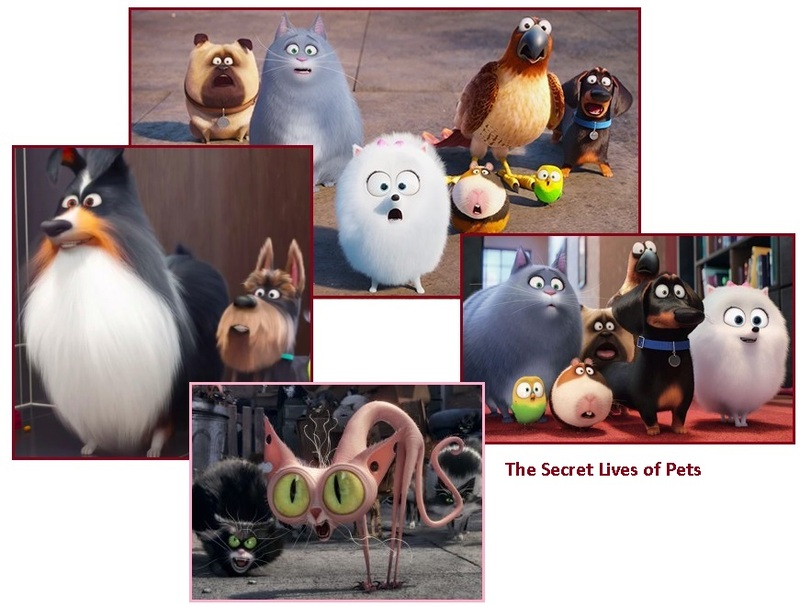 Mankind does not listen to these clues, unlike their pets who leave home at these times, fleeing. Unable to flee, and not even acknowledging the distress these signals are causing, mankind takes it out on others in the vicinity. ZetaTalk Comment 10/8/2016: Is the populace on edge? Even if not consciously noted, the populace is subconsciously aware. They see the Sun rising or setting in the wrong place and at the wrong times. The Moon is not where expected. The weatherman cannot predict the weather, which is atypical and erratic with extreme wildfires and floods. The price of food keeps rising and shortages noted. In N America the tension in the rock is so extreme that pets and domestic animals feel they must flee, and even though humans suppress their awareness of the electronic screech in the rock, they also feel this urge. We have mentioned in the past that the populace senses they are being lied to, that both the establishment and the media under establishment control are feeding them lies. Election theft has become the norm in Western countries, the supposed Democracies of the world, and the populace can see this, are not fooled. When the Sunda Plate holding Indonesia dropped during the 7 of 10 plate movements, their establishment lied about it, claiming rains had brought the sea water inland. While Russia tries to keep ISIS from invading Europe, the populace in the West is being told by NATO and the EU that Russia is the villain. The USGS has once again dialed down the sensitivity of their seismographs so the populace feels quakes and shaking that is denied. Where Nibiru is not visible to all, at every glance, the number of people who note an orb or many light orbs around the Sun increases daily, and chatter about Nibiru fills the Internet. What does the common man do in such a circumstance? They feel powerless, as any complaints to the establishment get ignored. They do not have control of the media, and can only use the Internet or social media to complain. Thus, with a sense of doom, and without any guidance from the establishment, they can only wind up like a spring, waiting to snap. And snap they do. What to do in these circumstances? Turn the urge to take action – fight of flight – into positive action. 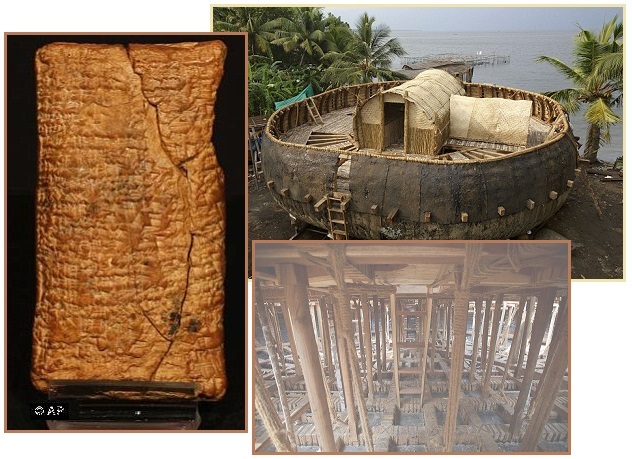 Be a modern day Noah and build an arc. The Zetas have long advised that action plans be at the ready for the hours after the pole shift. If not, the distress of what the human perceives was an attack will be turned to fist fights or anger turned inward, ie depression. These action plans can be simple, as simple as collecting dishes not broken, food from refrigerators that will spoil, and preparing a neighborhood barbeque. What about making make-shift shelters from junk strewn around in the high winds, and getting those mattresses out of the rain. Be ready to turn rage into positive action, is the Zeta advice. ZetaTalk Suggestion 12/1/2002: Throughout the world, survivors of the shift will react in different ways. Survivors might be angry at themselves for lack of proper preparation, or angry at the gods for delivering the storm, or angry at the authorities for not issuing an earlier warning, or angry at the insurance companies for not replacing lost goods, but anger is the mode. Thus, survivors, even in camps where all were mentally prepared, will be angry, red faced, and wanting to explode on some excuse or another. What to do with all that anger? Direct it into activity, productive activity. Control of ICANN, which assigns domain names the unique numbers needed to navigate on the Internet, has finally been transferred from the US to an international consortium. This transfer had been many years in process, and was resisted by some in the US. Per the Zetas, this is a positive move. The danger is not the international consortium, it is the Bush/Clinton crime family potentially gaining control of domain name management. The long-planned turnover takes place, but not before triggering an outcry from critics. 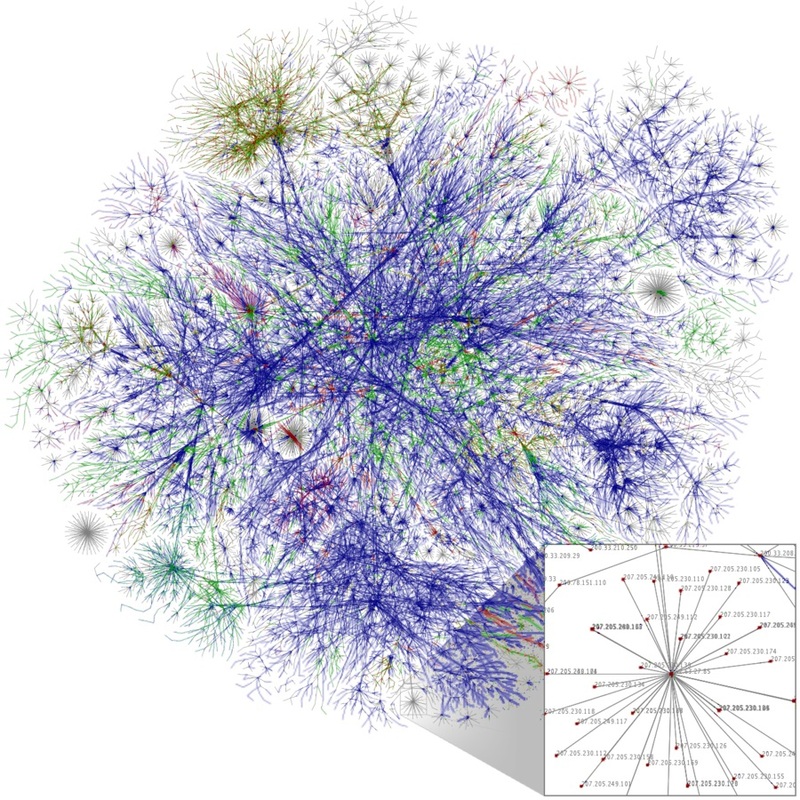 The transfer involved the internet's domain name system, or DNS, which translates the Web addresses you type into your browser, like "cnet.com," into the numerical language that net-connected computers use to communicate. Under a plan that's been in the works for years, the US Department of Commerce shuttled control of the DNS to a nonprofit called the Internet Corporation for Assigned Names and Numbers (ICANN), whose multiple stakeholders include technical experts, as well as representatives of governments and businesses. ZetaTalk Comment 10/8/2016: What does ICANN control, and what does this ownership change imply? Most in the public do not understand that the Internet actually works via numbers, so every website or email address is known by an internal number string, not the popular name the public associates with CNN.com or @hotmail.com, etc. When you request to browse CNN’s website, your Internet Service Provider (ISP) whom you connect to via a wifi or cable or phone line converts your CNN.com request into a number string, and does so via a database called a Domain Name Server (DNS). There are many DNS in the world, but a particular domain, such as CNN.com, will use only one of these servers, so their numeric address will not be repeated on other DNS. 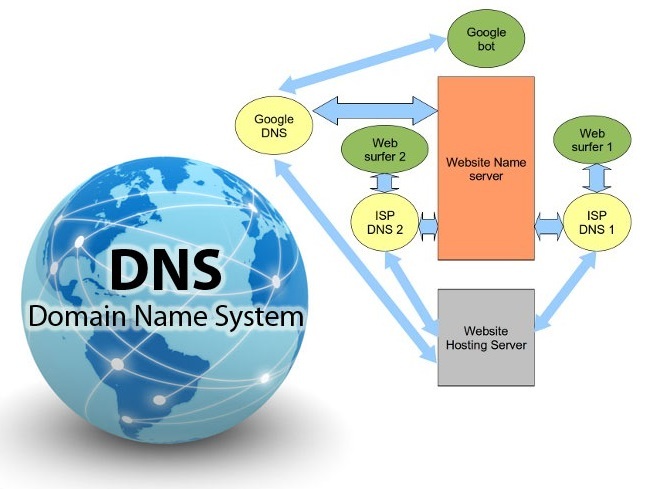 The user’s IPS will seek for CNN.com, and when it is found amidst the DNS will convert to the numeric identification, and make the web browser connection. That said, what control is actually being transferred to the international consortium now in charge? There are a limited number of numeric identifications to serve the burgeoning use of the Internet, and parsing them out must conserve the availability. Requests could be refused. A second source of control over the Internet could be refusal to approve a new domain request. At present there are multiple domain name agents, who interface with the public and assign new domain names. GoDaddy is an example, encouraging the public to get their own domain name, based on their personal name, and setup a little website based on his domain name at the same time. This type of seemingly unlimited domain name availability could cease, so reuse of existing domain names and their assigned numbers might become a new business. Could the new ICANN owners shut down the Internet? We have repeatedly explained that the nature of the Internet resists this type of takedown. It was designed to flow like water around blockages, so the packets keep moving even if they find an electrical outage or a broken transfer point. 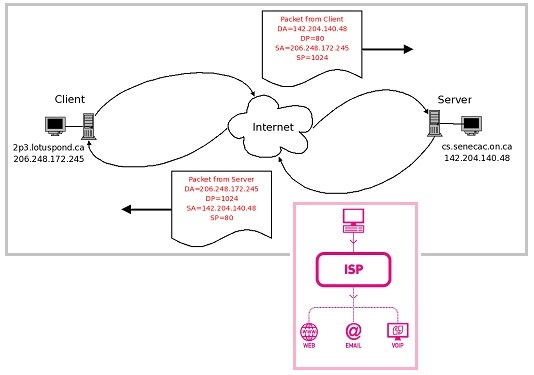 Control must then be exerted at the ISP, the first point of connection made by the public, as was recently attempted by FaceBook and Israel in Africa. This takeover was abruptly and pointedly stopped by the Council of Worlds when the FaceBook satellite launch exploded. A third point of control is assignment of unique numbers to new domain names, as each request must be approved. In general, entities such as Go-Daddy are given a block of numbers to use, but if these become restricted, new domain names could be slow in being approved. There are also a host of DNS at work as satellites, worldwide, so that rapid internet connections can occur. These servers are owned and maintained by numerous business entities, hosted in many different countries. If these were to be restricted by new regulations, forced into a single DNS arrangement, then access to the Internet could be suddenly lost. A single change in the DNS can break the connection, so that CNN.com no longer delivers the website.